Bubba's Garage: Can dead cats kill dogwoods? Can dead cats kill dogwoods? Surrounding our little pet cemetery in the backyard and on the trail to Bubba's garage were several dogwood trees. It now seems that they are either dead or dying. 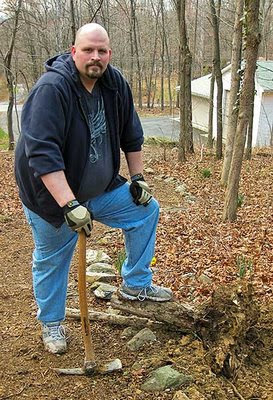 I just had a humorous thought while I was pulling up a stump of one of the dead dogwoods that maybe the ghosts of the cats did not like being buried next to the DOGwoods. Dunno. Makes you think.